A rare Apple-1 computer was yesterday sold to an unknown bidder for $350,000, fetching $50,000 more than seller RR Auction first anticipated. The unit included a set of originals: a mod-free board, a cassette interface, an operation manual, a period surplus ASCII keyboard, an "open frame" Sanyo 4205 video monitor, power cable and connector and a cassette interface cable. This machine was initially conceived by the two Steves – Jobs and Wozniak – as a bare circuit board to be completed by electronics nerds. The Apple founders paid a visit to Paul Terrell, owner of The Byte Shop in Mountain View, California, who agreed to buy 40 units but only if they were fully assembled so users didn’t need to grab a soldering iron themselves. It is one of between 60 and 70 Apple-1s still in existence out of 200 that were designed by the duo and initially priced at $666.66, according to gavel-bashers at RR Auction. 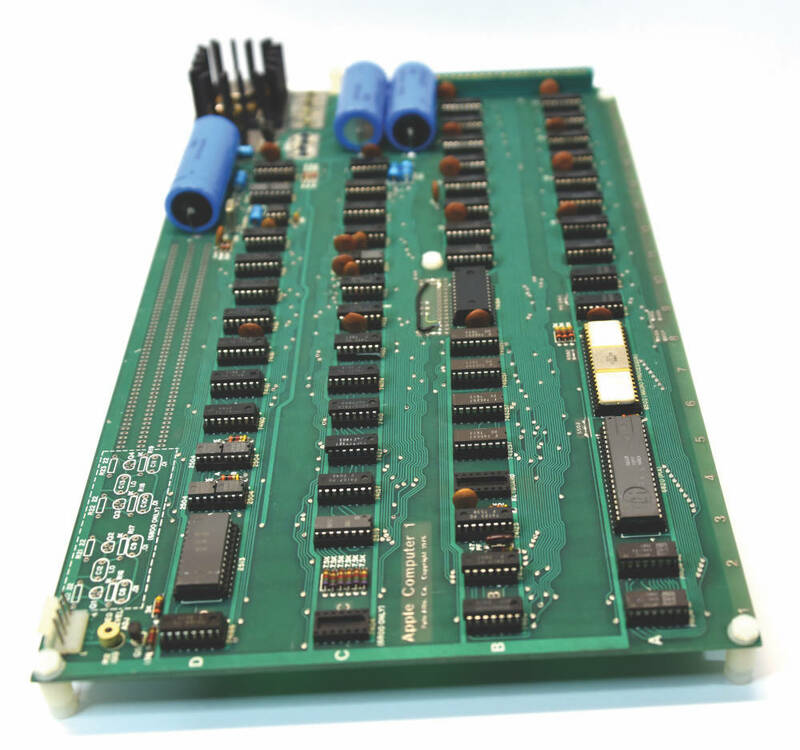 This working Apple-1 was restored to its original state by a specialist in the field, Corey Cohen. The physical board was not modified and the prototype area was “clean and unused”, the auctioneer claimed. The Apple “piece” was for sale alongside a raft of other stuff, including an Apollo 11 Lunar Surface flown US flag that sold for $21,250; a Steve Jobs-signed Annual Report that went for $23,750; a Macintosh Plus computer signed by Jobs and none of teamsters that was flogged for $28,750; and an Al Capone Twice-Signed Document in which he demanded $45 in gold coins, the winning bid for which was $26,250.